IF YOU ARE EVER IN ANY DOUBT ABOUT INSTALLING ANY MODS, PLEASE REMEMBER TO ALWAYS BACKUP YOUR FILES BEFORE INSTALLATION, JUST IN CASE. 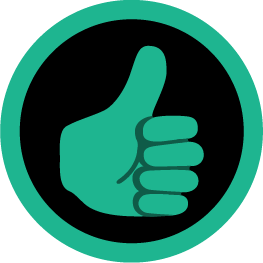 WARNING: THIS INSTALLER MAY REPLACE ANY FILES OF THE SAME NAME THAT ARE ALREADY PRESENT IN YOUR OVERRIDE FOLDER! - Females now have your choice of athletic, two piece with boxers, two piece with briefs, and Mass Effect style (not an exact copy). These skins should be compatible with other mods. - I've fixed the Dancer outfit model and texture so that it matches the shape and muscle tone of the underwear. These skins might not be as compatible with other models, since the uvw map has been altered (especially on the arms and legs). - Updated for v2.0: The model's stance has also been narrowed, to match the underwear model's stance (previously, it looked a littl bow-legged). The skirt cloth has been adjusted so that the front does not clip with the legs as much, and the back doesn't have a gap where it attaches to the belt. Also, Force powers will now eminate from the hand, rather than from a space floating between the hand and face. The textures have been tweaked so that there is better matching at the model's seams. 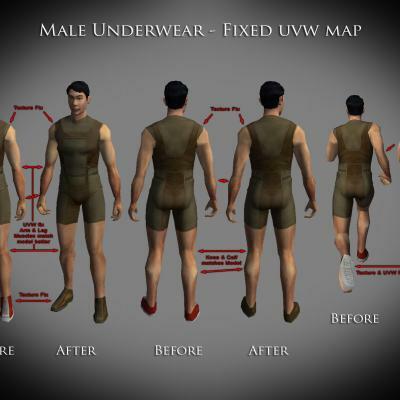 - I've fixed the Male's standard underwear model uvw map, and these should be compatible with most other mods. 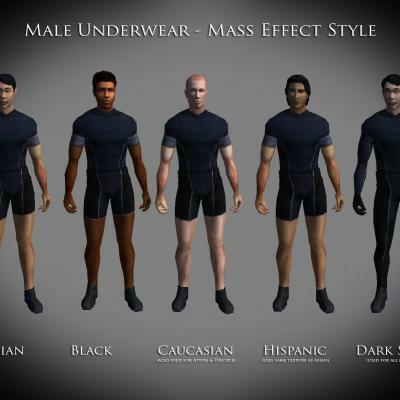 - Males now have your choice of athletic, shirtless with boxers, shirtless with briefs, and Mass Effect style. These skins won't be compatible with other mods, since the uvw map is significantly changed. 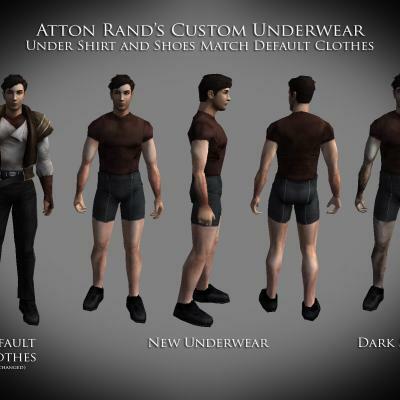 - New for v2.0: Atton now has his own unique underwear instead of using the default Caucasian underwear texture. It is meant to look like the brown shirt that he wears under his white shirt and vest of his default clothes. - Bao Dur now has underwear instead of using his default clothes model & texture. 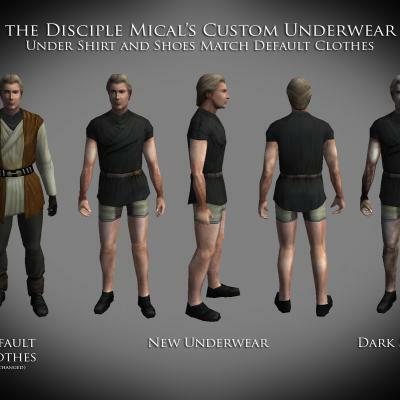 - New for v2.0: The Disciple now has his own unique underwear instead of using the default Caucasian underwear texture. This set is designed to look like the black undershirt from his standard clothes, and is more like a Jedi's under tunic. - The Handmaiden's underwear, normal clothes, and dancer outfit have been altered. She will now have a figure that stays the same shape for all three models. Her skin tone and musculature will be consistent. - When wearing underwear, she will now have white lace for LS, and black stockings for DS. The model has been re-shaped so that her figure now matches her standard clothes much better. These models and skins will not be very compatible with other mods, since the uvw map has been changed a great deal. - Updated for v2.0: the white lace now has more detail, the chest skin tone is more natural, the DS lace bra has been re-done from scratch. - Her DS hooded clothes will now have stockings that match the new underwear skin. They are very subtle, and you might only see the difference when she is attacking (especially kicking). Her LS clothes have subtle changes, so that her outfit is much less bland and monotone. These skins should be compatible with other mods, as the uvw map is unchanged. There is also an optional version of the LS clothes, where the only difference from the vanilla version, is that the boots match the new underwear's boots. - When wearing the dancers outfit, she will no longer "magically" shrink to an 8 inch "wasp waist". Other changes to the skirt and Force powers are same as for the playable female dancer model (listed above). These skins might not be as compatible with other models, since the uvw map has been altered (especially on the arms and legs). - Updated for v2.0: new model; skin textures have been improved. - Mira's underwear, normal clothes, and dancer outfit have been altered. She will now have a figure that stays the same shape for all three models (for v2.0 there is even greater accuracy to a matching shape, especially upper body and collar bone). Her skin tone and musculature will be consistent. - When wearing underwear, instead of the standard "potato sack" unitard, she will now have her teal coloured tie up shirt, now with working dangly ties. This v2.0 model was compiled with MDLOps 0.7a2, and so there may be some small inconsistencies with the polygon face normals, and how the game engine renders shadows on them. Most notable is the edge seam where the torso mesh joins the arm meshes (above the bicep). Because of this, I've included short sleaves on the texture, to camoflage the edge seam (there are two optional alternatives, one with bare shoulders where the edge seam error can be easily seen). - Updated for v2.0: new underwear model and textures. - Her ballistic mesh jacket will now have smaller shoulder plates and belt pouches, as well as more texture in the jacket and pants. These models and skins should be interchangeable with other mods, as the uvw map is unchanged. - Visas Marr now has a choice of 3 Light Side & 3 Dark Side underwears to choose from. These all use the standard female underwear model, so they should be compatible with other mods (unless those mods change the model). - Updated for v2.0: The LS underwears fix a slight error on the back of the hand, where it used to have a touch of purple fabric. there is a new texture for her default clothes, where the only change is that the shoe texture matches the style of the underwear texture. Directions: I've separated all the different options, so that you can pick and choose (mix & match) which underwears you'd like to use. - For the player character and Visas, simply copy the contents of any folder (.mdl .mdx .tga files) into the TSL Override folder. These do not require a TSLPatcher installer. **** IMPORTANT **** the model in each of these directories has been customized & matched to the textures in that folder. For simplicity, please do NOT mix these up, since they may not be entirely compatible with each other. For example, if you want the female PCs to wear Two Piece with boxers; while the male PCs wear Mass Effect; and Visas wears Two Piece with briefs: simply copy the contents of only those folders into the override directory. 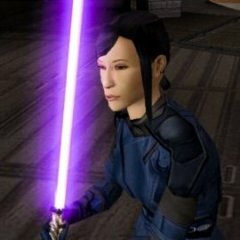 - For Atton, Bao Dur, Disciple, Handmaiden, and Mira, you will have to run the TSLPatcher.exe file for each of these five characters on their own. 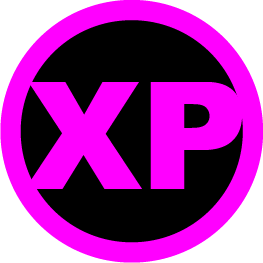 This is to allow players the option of using other people's mods for some characters, if they choose to do so. For Handmaiden and Mira, after running the patcher, there are some optional textures (as mentioned in the description) which require manually copying the desired texture file into the Override folder. Disclaimer: By downloading and using any of my mods you agree that I will not be held responsible if anything goes wrong with your computer because of your use of my files. Use my mods and files at your own risk. 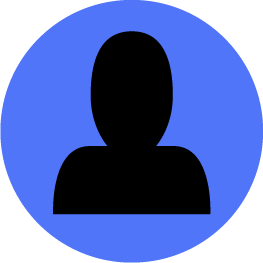 Permissions: (or questions) If you would like to use any of my files in your own mod, please contact me at http://deadlystream.com/ by Private Message to discuss useage. This Mod should only be found at NexusMods.com or DeadlyStream.com, please contact me if hosted elsewhere. 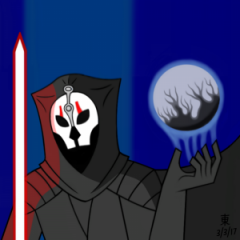 Star Wars Knights of the Old Republic (KotOR I) and Star Wars Knights of the Old Republic II: The Sith Lords (KotOR II) are copyright © LucasArts, Bioware and Obsidian Entertainment respectively. No copyright infringement is intended by me. I love all the options, especially the dancer outfit fix.